We carry the following Sundstrand and Eaton Hydrostatic Transmissions, pumps motors and equipment. 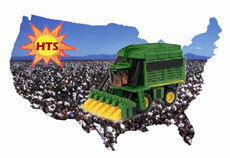 For John Deere cotton pickers and combines and Case IH cotton pickers and combines and Allis Chambliss combines. For John Deere combines. Sundstrand and Eaton hydrostatic pump or motor repair program. Exchange or repair and return. Case IH cotton picker Sundstrand and Eaton hydrostatic transmission exchange or repair program. Case IH combine Sundstrand and Eaton hydrostatic transmission exchange or repair program.